A consultation on draft regulations to implement the cap was published today by the Treasury. The rules will affect staff in local government, the police, schools, the NHS and the civil service. The regulations would implement powers created in the Enterprise Act 2016 which had not previously been acted on, prompting speculation the policy was being rethought. 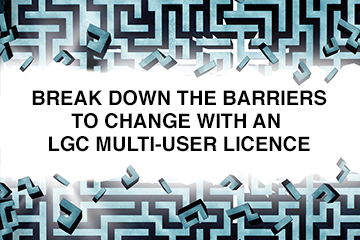 However, as LGC reported in March ministers have decided to revive the policy. According to government figures, over 1,600 workers were paid more than £100,000 in 2016-17 on leaving public sector roles, costing £198m, of which £98m was accounted for by six figure payments to English local government staff. Total exit payments across the public sector were £1.2bn in 2016-2017. Liz Truss, chief secretary to the Treasury, said: “It is clearly wrong when people leave public sector roles with massive payoffs. It incenses the public when they see their hard-earned money used badly like this. However, Ian Miller, honorary secretary to the Association of Local Authority Chief Executives said the chief concern with the draft regulations was that the £95,000 limit included ‘pension strain’ payments. In the case of local government, these are payments made by councils to the Local Government Pension Scheme if an individual is made redundant over the age of 55 in order to compensate the scheme for paying out pensions earlier than planned. “The cost of pension strain is not cash in an individual’s pocket in the same way as a redundancy or compensation payment. Nor does it give anyone a pension that is higher than the entitlement they have earned. We therefore feel strongly that pension strain should be omitted altogether,” Mr Miller said. Mr Miller also warned the lack of an implementation date for the regulations, which will have to be approved by both houses of parliament, would create “uncertainty”. This could affect employees decisions about when to take redundancy for fear of losing out if the cap comes into force. Mr Miller said the association was also concerned for its members in Buckinghamshire and Northamptonshire where reorganisation of the two tier system into one and two unitaries respectively is expected to lead to redundancies. This could mean affected individuals could receive less favourable treatment than council staff in Suffolk, Dorset and Somerset where six new councils replaced 15 predecessor organisations on 1 April. Under the regulations councils would have to seek Treasury consent to waive the cap in any particular case. The draft regulations come just after the TaxPayers’ Alliance, a campaigning group, released its town hall rich list, criticising large local government salaries, exit payments and pension payouts. The consultation runs until 3 July. I agree that the pension strain element should be excluded from the cap. If not excluded and the pension fund is not topped up, this will be unsustainable long term as more will be paid out than paid in. Do we expect future generations to pay half their wages into a pension pot that they can only benefit from when they retire at age 85+??!! This is ridiculous and will hit hard working, loyal middle managers the most. Those a the top will still find clever ways around it - those that spend a lifetime in public service only to be turfed out early will be those that pay the price. Pension strain is fully costed and accounted for in existing scheme regulations - it's not a pay off or discretionary perk but a standard requirement. These standard regulatory payments need to be excluded.